Belmont is a Georgian Villa in Lyme Regis, Dorset built in the 1780’s by Mrs. Eleanor Coade. It is one of the first Georgian seaside villas built in the country, and it is adorned with Mrs. Coade’s decorative artificial stone (whence it gets its name). More recently Belmont was home to world-famous author, John Fowles, author of The Magus and The French Lieutenant's Woman. Though still beautiful, Belmont House needed some restoration. Previous historic repairs had been made to the building, but they were not suitably carried out, and in places wrong materials had been used. Cement repairs had trapped moisture, causing damp and structural issues. Furthermore, modern paints had been used on the stone, and finding a way to remove paints without jeopardising the historic fabric of the building was absolutely necessary. The Landmark Trust wanted to restore Belmont to its former glory, allowing people to appreciate the building’s unique stonework. Restorative Techniques visited Belmont with The Landmark Trust in order to discuss project requirements in more detail and showcase how their products could be used on the site. After an appropriate methodology had been established, Restorative Techniques gave the site staff a thorough induction on how to use their machinery correctly. ThermaTech®, a high-pressure steam cleaner, was used on the whole building. 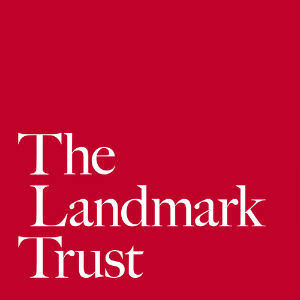 The Landmark Trust “felt like it was the correct tool for the job, and produced excellent results”. Belmont has now been restored to its original appearance in Mrs. Coade’s day, and in September 2015 Belmont opened its door to the public with its features repaired and reinstated. Visitors can now sit –and write- in John Fowles’s former writing room while enjoying the view of the pebble beach and the Cobb beyond.